Located in Central Asia, the Aral Sea was once one of the four largest lakes in the world; however, over the past 50 years, it has lost 90 percent of its volume. Russian cosmonaut Anton Shkaplerov, who is currently on board the International Space Station, has published a snapshot of the Aral Sea on his Instagram account. Commenting on the photo made from outer space, Shkaplerov recalled that the Aral Sea is "the former endorheic salty lake located on the border of Kazakhstan and Uzbekistan." #АральскоеМоре – бывшее бессточное соленое озеро, расположенное на границе Казахстана и Узбекистана. До 1960-х годов оно считалось четвертым по величине озером в мире, однако сегодня уровень моря катастрофически низок… И я не ошибся, назвав Аральское море озером. К морю его по традиции относят из-за больших размеров, как и «соседнее» Каспийское. Они оба являются остатками древнего океана. • The #AralSea from space. Formerly one of the four largest lakes in the world, the Aral Sea has been steadily shrinking since the 1960s. "Until the 1960s, it was considered the world's fourth largest lake but currently, the sea level is catastrophically low… And I was not mistaken when I called the Aral Sea a lake. It is traditionally believed to be a sea because of its large size, like the "neighboring" Caspian Sea. They are both remnants of an ancient ocean," he wrote on his Instagram page. 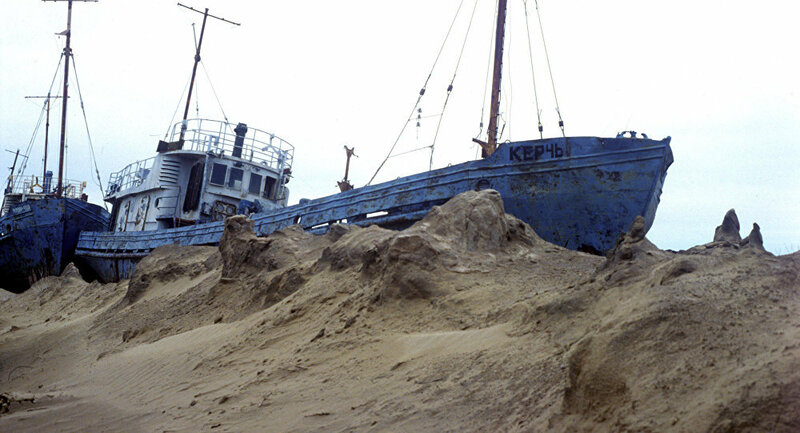 Over the last 50 years, the Aral Sea's surface area has shrunk to an eighth of its original size and the absolute water level in the sea has gone down from about 53 meters (173 feet) to around 29 meters (95 feet), in part because rivers that drained into it were diverted by Soviet irrigation projects.